Who: Everyone is welcome, as dressed as you choose. Tasha Diamant is the only one committed to standing naked. Where: The warmest corner of Government and Belleville, Victoria, BC. And anywhere else! 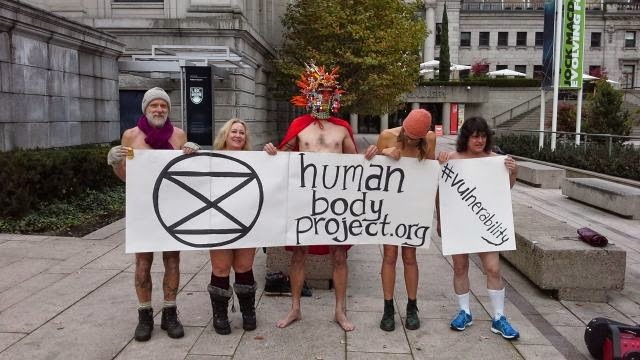 These people held the first coinciding #VulnerabilityVigil last month in Vancouver!